Are you worried about that tree in the backyard falling and causing damage to your property? Do you have an unwanted tree blocking your view? Call High Point Tree and Fence today. 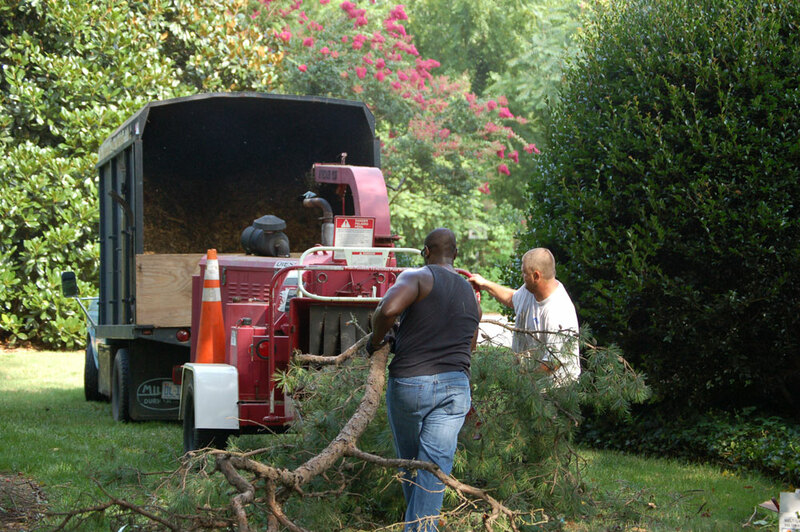 Based in Archdale, NC, we serve the entire Triad and provide professional tree removal services to High Point, Greensboro and Winston-Salem, NC. Neither tree cutting nor tree removal are DIY jobs, so be sure you turn to an experienced professional. Tree removal can be necessary for a variety reasons. One common reason is if a tree is dying. As trees age, they can become weak and pose a greater risk of falling. If you have an aging tree on your property in High Point, Greensboro or Winston-Salem, NC, call High Point Tree and Fence and we will come to your property to assess the situation. With years of experience and knowledge under our belts, we’ll give you our professional recommendation on the proper course of action. If we determine that tree removal is appropriate, we will provide you with an estimate for the job. From here you can trust that the tree will be safely removed by trained professionals at a time that is convenient for you. At High Point Tree & Fence, we specialize in tree removal and tree cutting services for trees of all types and sizes. We have a unique combination of experience, equipment and knowledge that allows us to provide top-quality tree removal and tree cutting services. If you’re searching for tree removal services in High Point, Greensboro or Winston-Salem, NC call High Point Tree & Fence today. At High Point Tree & Fence, we specialize in tree removal and tree cutting services for trees of all types and sizes.